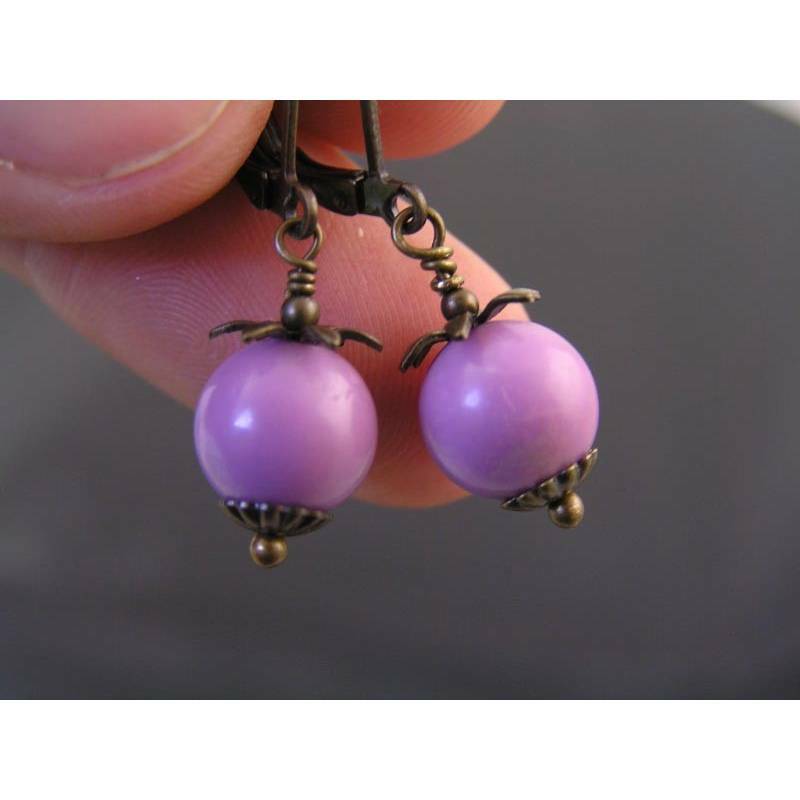 Such a gorgeous colour and it's all natural. 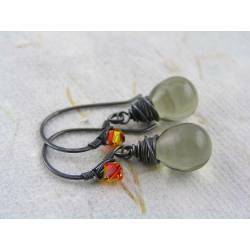 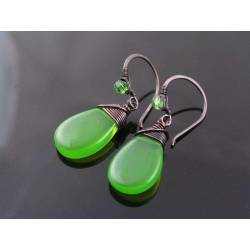 Genuine Phosphosiderite earrings. 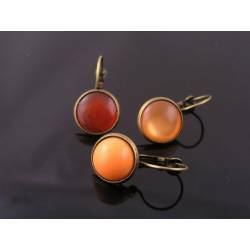 For these cute earrings, I used polished approx. 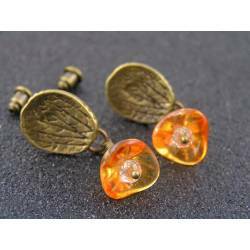 9-10mm round rare phosphosiderite beads and framed them with solid brass flowers and corrugated bead caps. 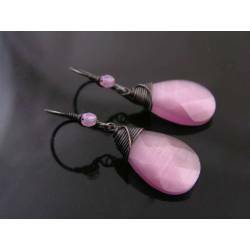 Phosphosiderite has the most amazing, totally natural orchid colour. 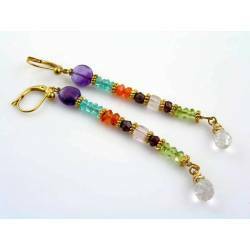 The highest quality material comes out of Chile which is where I acquired my beads from. 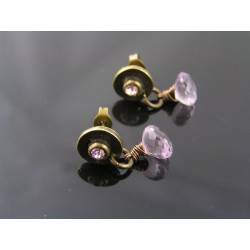 It is a rare gemstone and prices reflect that. 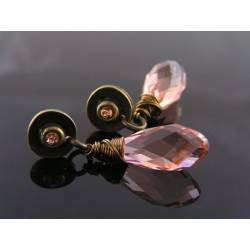 It has a hardness of only 3.5-4, which means its tricky to work with. 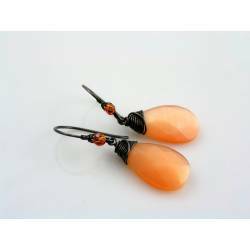 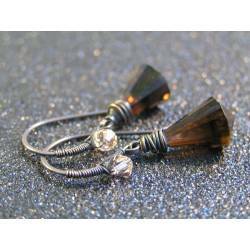 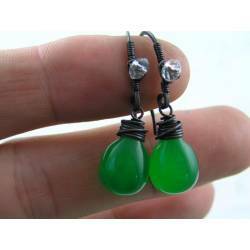 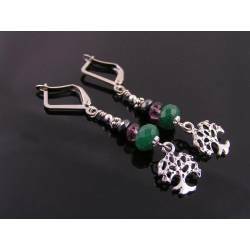 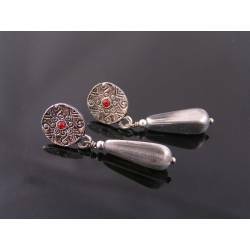 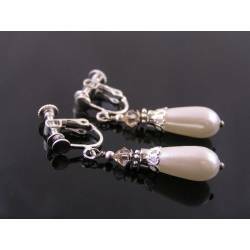 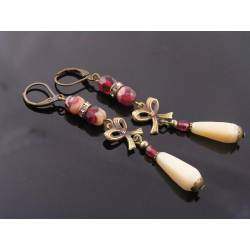 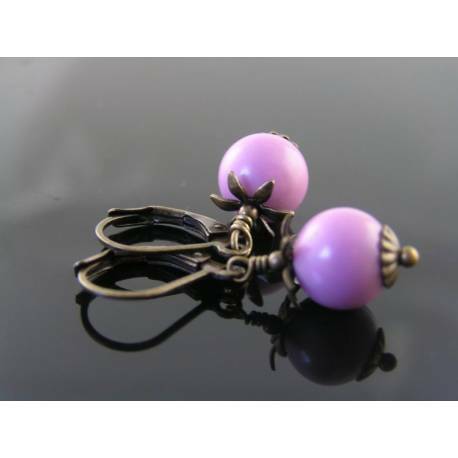 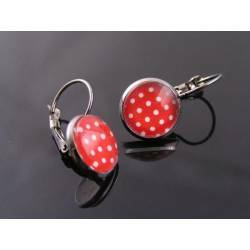 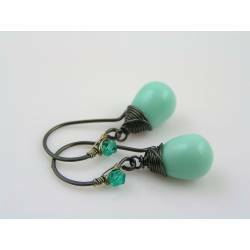 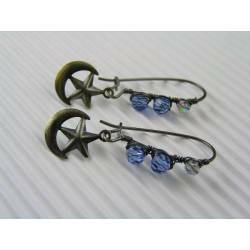 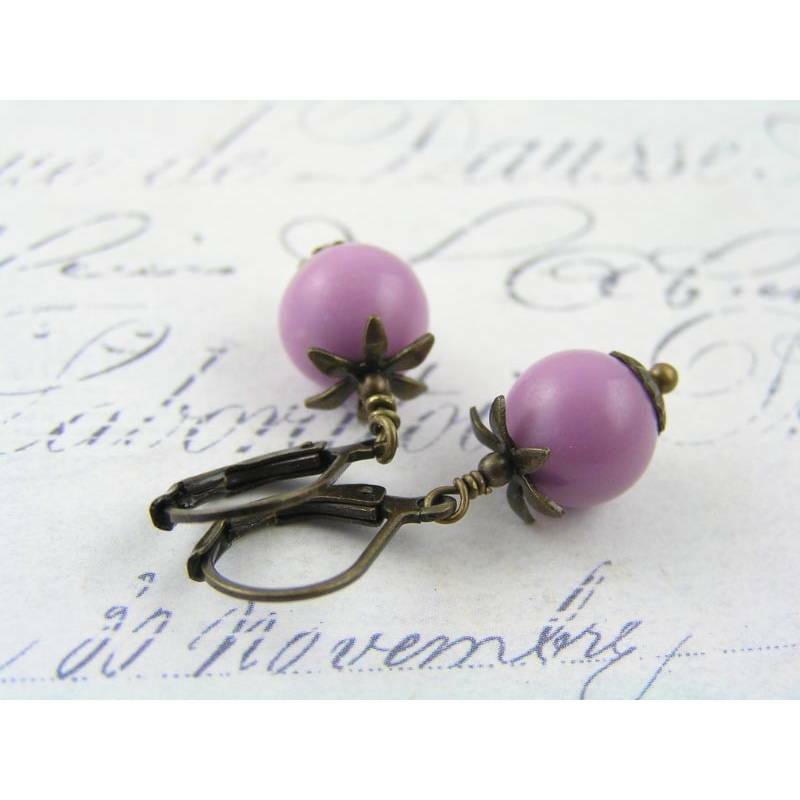 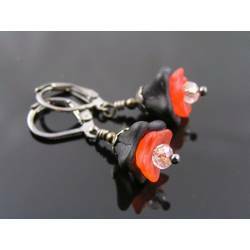 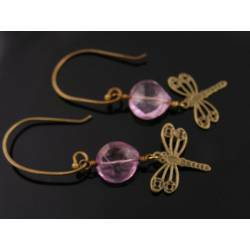 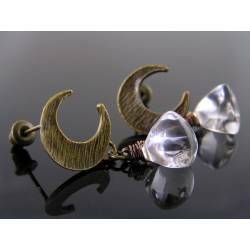 Dangling from secure lever back ear wires, the earrings measure 3cm in length. 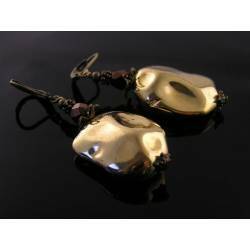 All metal is solid, oxidised brass which is sealed to keep colour and shine.